JK Brawler Mid Front Skid for Jeep Wrangler JK 2007-2016. The JK Brawler Mid Front Skid is an optional addition to the JK Brawler Mid Front Bumper. 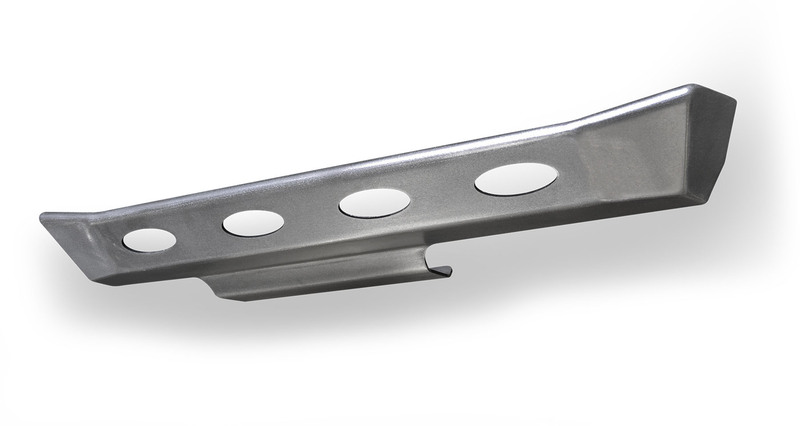 This skid attaches to the bottom of the Brawler Mid bumper to conceal and protect the Stock crash bar, plus it has an extension to protect the electronic swaybar disconnect motor found on Rubicon JKs. The skid is made of CNC laser-cut 3/16 inch plate steel, precision brake-formed for a precise fit to the Brawler Mid front bumper.